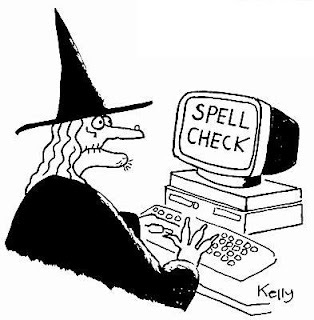 Do you rely on spell check a lot when you write? I must confess I'm very lazy nowadays. If I can't spell a word, I'll just type whatever similar and hope for the best during the spell check. I don't know that I 'rely' on it, though I do type with it on. But the words I KNOW I don't know how to spell are often of foreign origin or something, so spellcheck is useless. What I count on it MORE for is catching my typos--I have lots of those... mistyped words. it is BAD at catching when my fingers go on autopilot and just type the WRONG word though. Yes, Hart, we're too reliant on modern technology.